Think Java is an excellent introduction to computer science and programming intended for people with little or no experience. We start with the most basic concepts and are careful to define all terms when they are first used. The book presents each new idea in a logical progression. 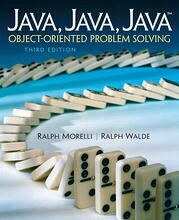 Java, Java, Java is suitable for a typical Introduction to Computer Science (CS1) course or for a slightly more advanced Java as a Second Language course. 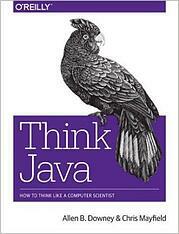 Throughout the text we emphasize careful coverage of Java language features, introductory programming concepts, and object-oriented design principles. 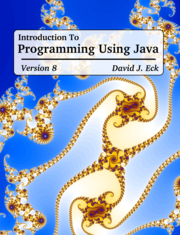 Our textbook Introduction to Programming in Java [ Amazon · Pearson · InformIT ] is an interdisciplinary approach to the traditional CS1 curriculum with Java. We teach the classic elements of programming, using an “objects-in-the-middle” approach that emphasizes data abstraction. We motivate each concept by examining its impact on specific applications, taken from fields ranging from materials science to genomics to astrophysics to internet commerce.